Choosing cut-resistant gloves can often be a trade-off between the level of protection and the level of comfort and dexterity in the glove. 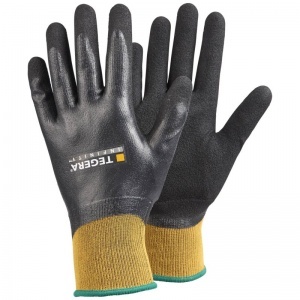 With the Ejendals Tegera Infinity 8807 Level 5 Cut Resistant Work Gloves, it need not be so. Combining quality synthetic materials with Ejendals' state-of-the-art Cut Resistant Fiber technology, the 8807 are extremely flexible, comfortable and light, yet still boast the maximum Level 5 rating in cut protection. 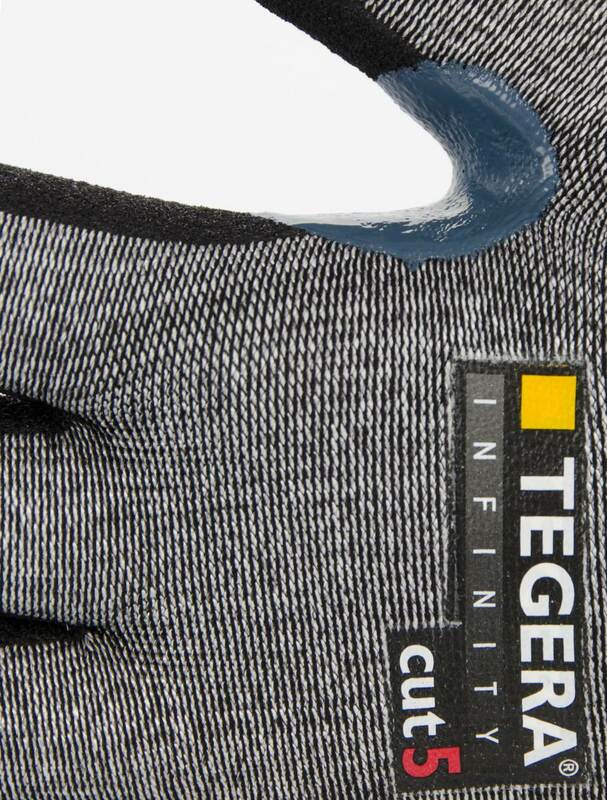 The Ejendals Tegera Infinity 8807 feature Ejendals' proprietary Cut Resistant Fiber (CRF) technology, which is designed to provide exceptional dexterity, a quality that is not usually present in high-performance cut protection gloves. 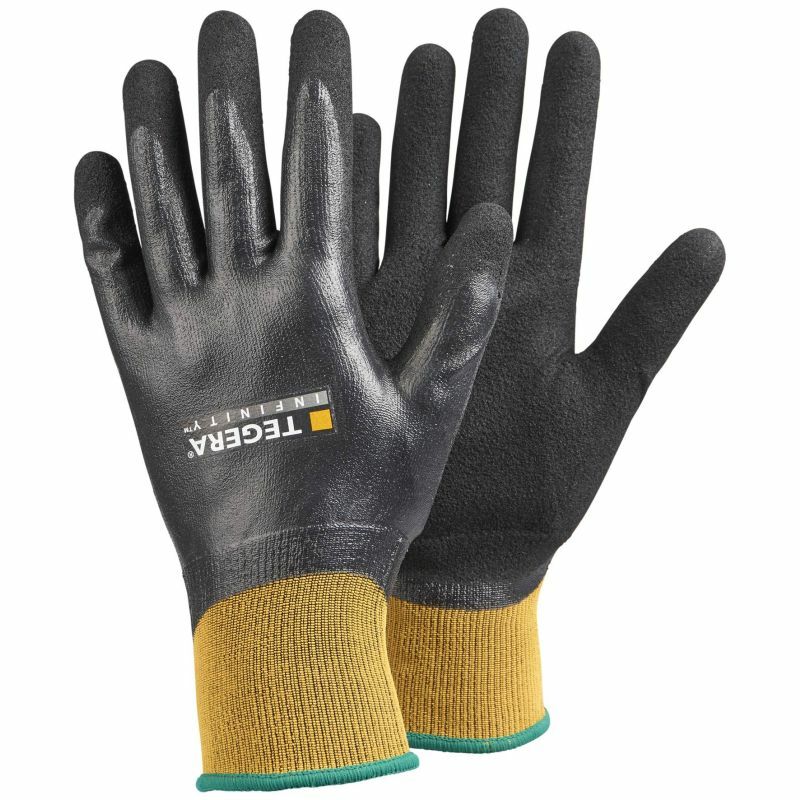 The Ejendals 8807 Palm Dipped Precision Work Gloves are able to withstand contact heat up to 100°C. While this is not enough to resist sustained high temperatures, it does provide peace of mind for mechanical or assembly line work, where objects can become warm. 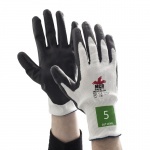 The Ejendals Tegera Infinity 8807 Gloves will be particularly useful for oyster shuckers and anybody who shucks oysters on a regular basis, whether as a chef in a restaurant or when preparing them for sale. As the shucking knife works close to the palm, the level 5 cut resistance of the 8807 will be particularly useful. The Ejendals Tegera Infinity 8807 are available in six different sizes. Please consult the table below for details and select the appropriate size for you from the drop-down menu above. The Ejendals Tegera Infinity 8807 are suitable for machine washing at 40°C.